De Wilde, W.J.J.O. & Duyfjes, B.E.E. (2012). 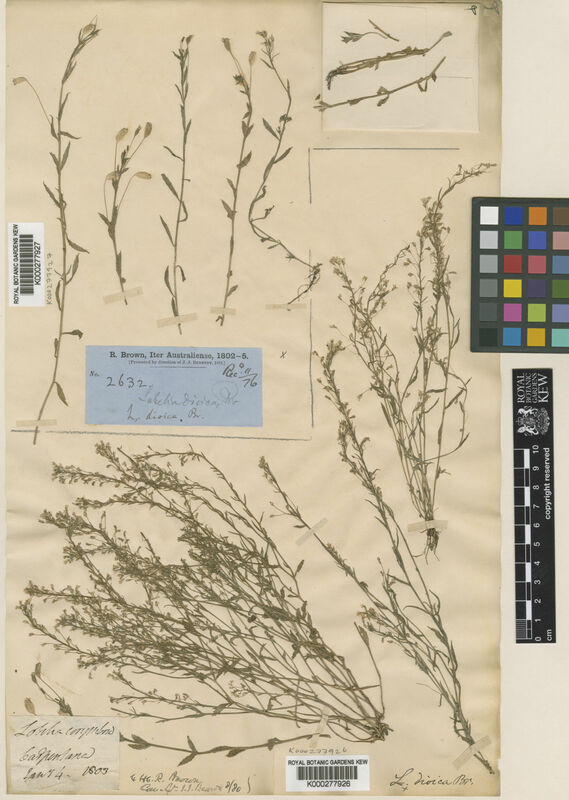 The lesser-sized Lobelias from Asia and Malesia Thai Forest Bulletin (Botany) 40: 38-56.